Light open and airy describes this tastefully remodeled home in "Sunset Palisades"! This 3 bedroom plus den with 2 full baths home is located on a large corner lot offering both privacy and tranquil views of the surrounding hill sides and peaks of the ocean. As you enter the home the feeling of light and openness creates a feeling of space and warmth with 4 sets of french doors leading to 3 private courtyards and zen like spaces. Vaulted ceilings are featured throughout much of the home with a combination of wood, bamboo and Travertine flooring. Gorgeous and super spacious kitchen with tons of built-In Shaker Style Cabinetry, granite surfaces and stainless appliance. There is a built-In pantry, appliance garage and work station From the kitchen window you can enjoy the beautiful water feature with the local birds enjoying their afternoon spa! The master bedroom with en-suite has a Walk-In Closet and 2 additional closets and over head storage. The master bath has dual vanity sinks with granite surfaces, spacious soaking tub and separate walk-In shower. Each of the guest bedrooms and den have bamboo flooring. Tucked away is a great study area with a built-In desk and vies of the front courtyard. The 2 car garage has an automatic opener and a newly surfaced epoxy floor. 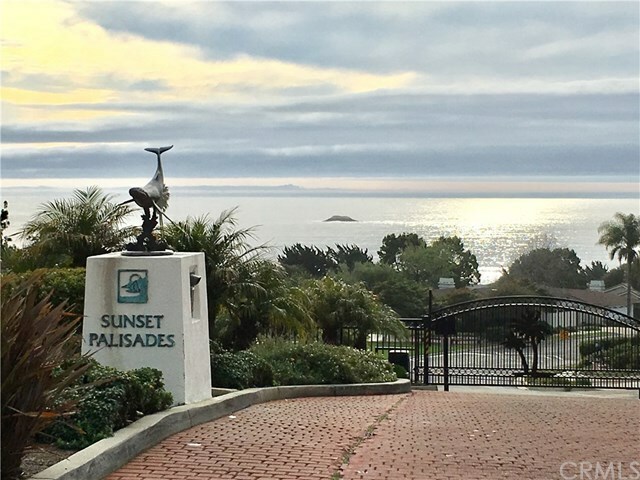 The gated community of "Sunset Palisades" features lush landscaped greenbelts and walking paths and is known for its unique micro-climate and convenient access to the beach, parks, basketball and tennis courts!